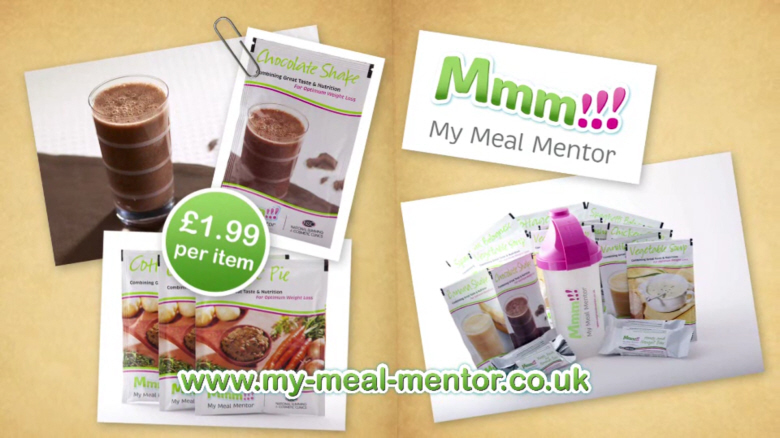 This is one of two 10-second commercials we produced for National Slimming Clinics, to advertise My Meal Mentor, their slimming foods and dietary programmes. Before the commercials could be cleared for broadcast, we had to submit extensive research results and substantiations of My Meal Mentor to Clearcast (who regulate TV commercials on behalf of the Advertising Standards Agency) about the product’s ingredients and nutritional benefits. Thanks to our years of experience dealing with submissions to Clearcast, the client could leave it to us to ensure the final edits were accepted and the commercials were cleared for broadcast on ITV channels.